Military divorce is a divorce where one of the parties is an active duty member of the military, reserve or guard, or retired military. It should be noted that military divorce is not a "legal" term that is recognized within the context of the law, but a simply a term used to describe a divorce where one of the parties is a service member. Being a service couple does not mean that the couple must not meet the same requirements that civilian couples must meet when filing for divorce. Moreover, issues like community property, debt distribution, alimony and child support/custody are decided in military divorces much the same as they are in civilian ones. However, some of the restrictions for filing are relaxed in many states, such as residency requirements for active duty service personnel. Much like civilian couples, military couples must go through the same procedural process when divorcing. They must file appropriate paperwork with local courts and follow the same rules. But courts dealing with military couples may have to deal with other factors that the typical civilian couple will not have to address. And military couples sometimes have a prolonged divorce due to issues like active duty assignment in remote areas, deployment or a permanent overseas assignments. What’s more, military pay, housing benefits, retirement and other features unique to the military can add complications for attorneys that are not familiar with military divorces. As such, it is important that military couples seek out a knowledgeable attorney that understands the factors that will affect their divorce as a result of military service. Additionally, it is absolutely critical for military couples to find a lawyer that knows about federal laws that divide military retired pay. All in all, military couples face many of the same challenges that civilian couples do. But being aware of the unique challenges can help most military couples find the best divorce lawyer for their own divorce. Nothing in this article should be construed as legal advice. Individual circumstances and facts vary from case to case. Any and all questions about divorce, support or family law should be directed to a qualified and experienced family law attorney. A neighborhood north of the city of San Diego, Miramar is known as being home to the real TOPGUN. The area became a military base in 1950 and today Miramar is one of San Diego County’s most acknowledged real estate markets. This is due to the fact that Miramar has a very central location and size. Miramar includes residential housing as well as commercial and industrial districts. Miramar residents would most likely exercise their family law needs at the East County Regional Center on 250 East Main St. in El Cajon. The office there is located on the first floor at the west side of the building. This courthouse hears juvenile dependency cases and family law cases among others. Only a short 10 minute drive from Miramar, our office is located in Rancho Bernardo. Take the I-15 North to Bernardo Center Drive. Our firm will be on the second floor, southwest corner, of the Clock Tower Office Complex, to the left. We are open from 8am-5pm, Monday thru Friday, except on legal holidays. At Doppelt and Forney, APLC, we are members of the San Diego County Bar Association and the San Diego County Better Business Bureau. We offer a complete legal consultation where we can learn more about your legal matter and offer you advice on how to achieve your legal goals. You can schedule this appointment online or at 858-312-8500. We are well trained and experienced in many types of commonly occuring family law cases and some that do not happen as commonly. 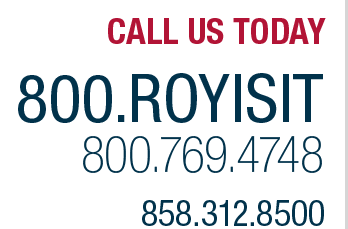 Call us today to find out about our full spectrum of legal services and how we can assist you. We look forward to using our education and experience in helping you through this difficult time in your life.